This species is currently listed in CITES Appendix II. 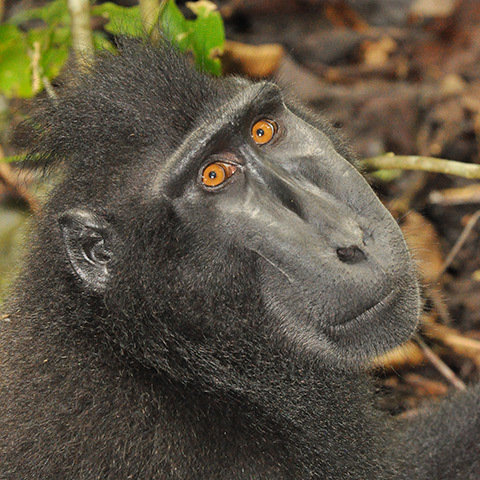 Since November 2000, the subspecies T. p. poliocephalus and its habitat on Cat Ba have been the subject of the Cat Ba Langur Conservation Project (implemented by the Zoological Society for the Conservation of Species and Populations, ZSCSP), which has been focused on the improvement of protection status for the subspecies and its habitat, and has initiated two important programs. The first is a langur sanctuary located inside Cat Ba National Park and a "buffer zone" of the World Heritage Site "Halong Bay". Thirty-five percent of the remaining population lives in the sanctuary. The second is a langur-guarding program that is meant to protect 35% of the population that exists outside of the national park. This program puts the subpopulations and their ranges under the control of local people that patrol the ranges and offer community conservation education. The most important steps in the recovery of this subspecies now are continued protection from poaching and encroachment, a reduction in the habitat fragmentation and subpopulation isolation, and an increase in reproductive output and genetic health of the entire population, suggesting the need for translocation (Stenke and Chu Xuan Canh 2004). The largest populations of T. p. leucocephalus are expected to recover under proper conservation of their Nong Guan and Nong Lin limestone habitats (Wang and Tong 2004). Nong Guan and Nong Lin are now being included in a larger proposed national-level nature reserve called Chongzuo Eco-Park, a special nature reserve for the white-headed langur (381 km2) with a population of about 250 individuals (Nadler 2003). However, considering the precarious status of the populations of this subspecies, reliable information is desperately needed about the precise effects of habitat degradation on its activity and survival (Li and Rogers 2005). 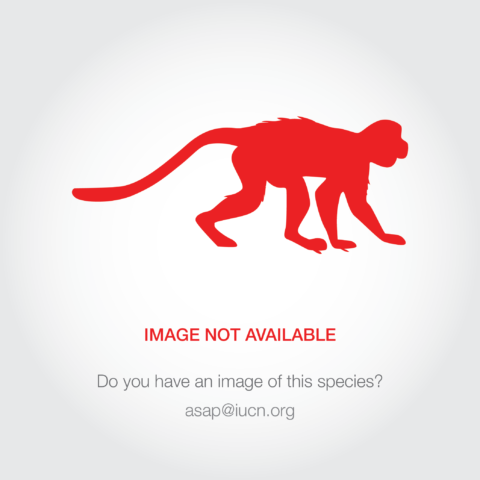 There are currently no specimens of T. p. leucocephalus in captivity; a small number of T. p. poliocephalus are reported in the collection of the Endangered Primate Rescue Center, Cuc Phuong National Park, Viet Nam (Nadler 1999). This species is known only from northern Viet Nam and adjacent southern China. Confined to Cat Ba Island, in Ha Long Bay off the northeastern cost of Viet Nam. There it is further restricted to about a 100 km2 area of occupancy, mostly inside Cat Ba National Park (Stenke and Chu Xuan Canh 2004). It ranges from 70-100 m in elevation (Le and Campbell 1994) and possibly from 0 to 200 m.
Occurs in south China (southwestern Guangxi province), in isolated areas from the Shiwan Dushan north to the Zuo River, specifically in the karst hills of Gang Nature Reserve, Fushui Nature Reserve, Chongzuo Nature Reserve, and Longrui Nature Reserve. The current total population of T. p. poliocephalus as of August 2006 is 64 individuals (Stenke pers. comm. ), down from an estimated 100 individuals in 2000 (Nadler and Long 2000), but apparently an increase from the all-time low (less than 60 individuals) in the interim period. These animals are fragmented into seven isolated subpopulations; average group size is low, at 3.7 individuals, and there are 3-4 all-female groups, which are consequently non-reproductive (Stenke and Chu Xuan Canh 2004). 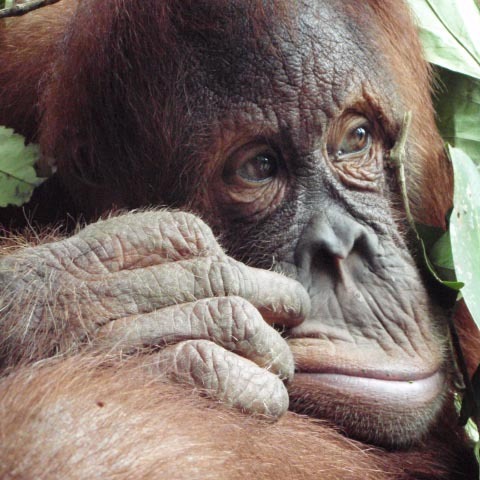 As of 2003, T. p. leucocephalus totaled about 700-800 individuals remaining in the wild, 250 of which live in Nong Gang, a maximum of 350 individuals live in Nong Lin. Also as of 2003, the population had begun to grow after a period of human-induced decline (Wang and Tong 2004). A survey conducted in Fusui Rare and Precious Animal Nature Reserve between September 1996 and April 1997, found a 24% decline in the population density over the past 10 years, with a current population of less than 150 langurs (Li et al. 2003). Poaching, both for meat and traditional "medicine", has been recognized as the most severe threat to Cat Ba langurs, and the reason for the precipitous decline in their population over the past couple of decades. Reproductively valuable males were often the most common victims due to their behaviour (Stenke and Chu Xuan Canh 2004). Habitat disturbance and fragmentation resulting from the growing human population on Cat Ba Island (due in part to the country's designation of the island as a new tourism centre for northern Viet Nam), and rampant fires due to honey collectors (Nadler and Long 2000) are also threats. Tourism in the inadequately managed Cat Ba National Park has direct effects on langur natural history, such as the disturbance to habitat and perhaps behaviour caused by things like nightly spotlighting trips in speed boats around the karst archipelago where these monkeys live. 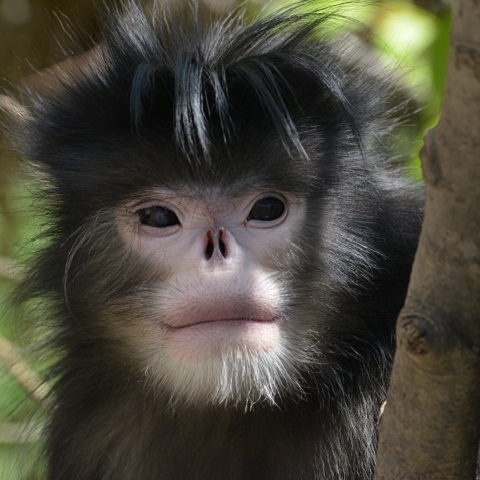 The small size and fragmented nature of the remaining Cat Ba langur population means that the subspecies is at risk of inbreeding effects (or intrinsic effects to avoid inbreeding by not breeding at all), extremely limited mate-choice due to the small number of males per group, and the chance of a natural or human disaster causing total or effective extinction. In China, clearing of land with fire, burning of agricultural residue and burning charcoal often leads to uncontrolled fires that escape into adjacent karst landscapes. The white-headed Langur is surrounded in some areas by subsistence agriculture, such that much of the habitat is fragmented (Li and Rogers 2005). Tree cutting for firewood has caused further degradation to the remaining habitat (Li and Rogers 2005). Along with habitat destruction, poaching has been the primary cause of the most recent decline in the population (Wang and Tong 2004). There is some evidence that breeding is hindered in degraded habitats.